Come and experience the richness of the Mayan World. 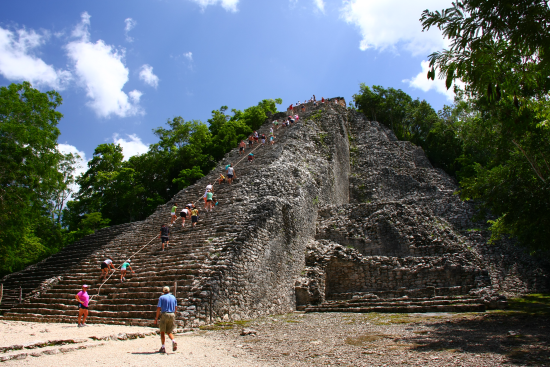 Discover Coba and climb Nohoch Muul, the tallest pyramid in the northern part of the Yucatan Peninsula. 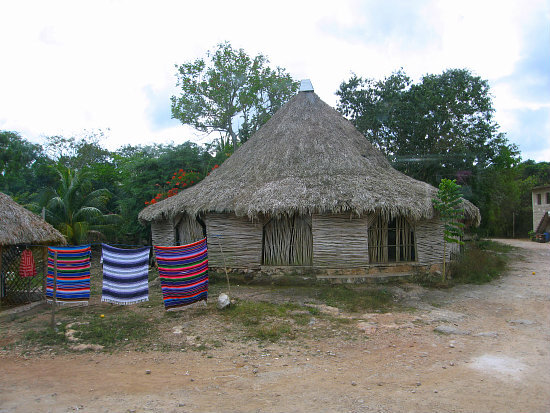 Visit a Mayan village, cohabit with the descendants of this most admirable Pre-Hispanic civilization and participate in the preservation of their cultural and natural heritage. Paddle on a lagoon of enormous beauty. Make a thrilling rappel descent. 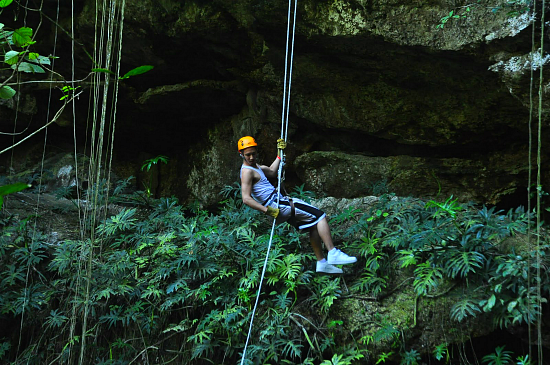 Swim in the transparency of age-old cenotes and soar on the zip-line above the Mayan Jungle. Your encounter with the Maya culture starts with a 1,500 year-old historical journey to the ancestral city of Cobá, an archaeological site hidden deep inside the rain forest of south-eastern Yucatan Peninsula. Climbing the Nohoch Muul temple (the tallest pyramid of the state), you will be able admire the pristine beauty and immeasurable vastness of the surrounding sub-tropical rain forest. Your Maya Encounter journey then leads you to an authentic Maya village, a self-sufficient Maya community living next to an integral part of the regions lagoon system. You will walk you through the Maya communitys forest, learning the mysteries of their local fauna and flora. Your unforgettable off-track adventure tour then begins: exciting zip-line flying over an incredibly beautiful Cenote, a refreshing swim, rappelling down into another Cenote, and canoe paddling on a lagoon of enormous beauty. And to end it all, a delicious traditional lunch prepared by the women of this Maya community. Pick up and departure for Coba. Arrival at Coba. We will enjoy a two-hour guided tour including a visit to Maya temples, the legendary ball game area and the Nohoch Muul Temple (the tallest pyramid in the Yucatan). Departure for the Maya Village. End of the expedition. Return to hotel. Transportation in air-conditioned van, multilingual adventure guide, Maya guides at locations, entrance fee to Coba, qualified archaeological guide in Coba, kayak or canoe, rappel and zip-line gear, lunch and drinks. Bring comfortable footwear to walk in the jungle (tennis shoes or sports sandals – no flip-flops), swimming gear, extra T-shirt, towel, and extra cash (tips, pictures and souvenirs). This expedition is not suitable for people with severe physical or motor handicaps or serious heart problems, nor for obese people or people who are not able to handle physical activity. It is definitely not recommended for pregnant women. Children under the age of 6 are not allowed to participate. People under the influence of alcohol or drugs will definitely not be permitted to participate in this expedition.